Fair trade, something a little foreign to most, as it was to me when I had first heard about it. For a large majority of my youth I never once thought about where my toys, clothes and food were coming from. It wasn’t until my seventh year in the public education system when I was first introduced to the idea of fair trade. Fair trade changes what we put in our stores, it allows us to purchase items that were picked, made or processed, by an individual receiving a fair wage, in a safe working condition. Fairly traded products can ultimately change the rules of trade, ensuring better deals for those who grow, make or process the items we consume daily. It is a way for all of us to purchase products to generate positive changes in the world we live in today. 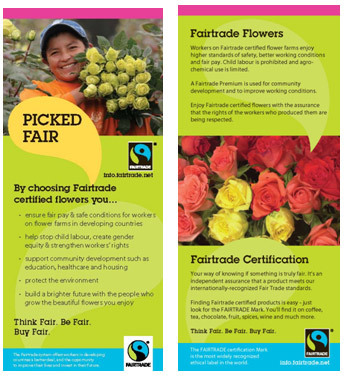 Fairtrade Canada and Fairtrade International are non-profit organizations, both work with various partners across the globe to help change the standards of the flower, food, coffee and other industries. Fairtrade certified producers must pay their employees a decent wage (at or over the minimum wage in the region in which they are located), hire no individual below the age of 15, guarantee the right for the formation and participation in trade unions, provide safe and suitable housing when relevant, and follow all health and safety standards set by Fairtrade international/ Fairtrade Canada. These producers, farmers and individual artisans who are partnered with Fairtrade Canada or Fairtrade International develop meaningful and lasting trading relationships, they also receive an additional sum to invest in the growth and development of their communities. Not only products with a Fairtrade international or Fairtrade Canada certification are in fact fairly traded. Products which are direct trade have very similar benefits of those with Fairtrade certifications; there is even some debate as to which is more beneficial to producers. Companies that label their products direct trade most often work directly with the farmers who harvest and process their product. All standards are determined by the company themselves, who frequently visit the farms in which their products are from to ensure the quality of their goods. These companies often state right on their product packaging that they pay equal to or higher than Fairtrade prices for their products. Producers and farmers working with direct trade companies create strong and lasting trading relationships, much like those who work with Fairtrade. 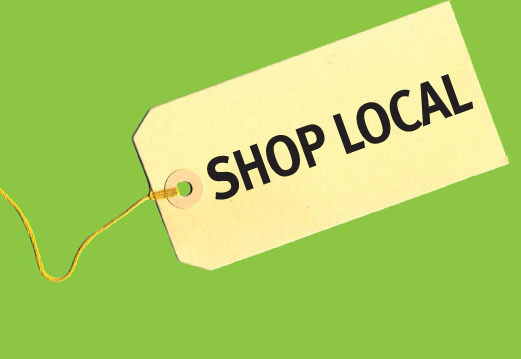 Another way to ensure that your product was fairly traded is to buy local! Companies or individuals who grow, make or process their products within Canada are required to follow health and safety standards set by each province and to pay their workers the minimum wage of wherever they may be located. 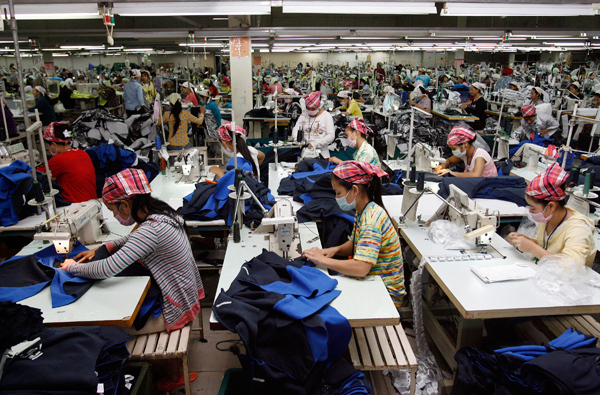 In the garment industry, sweatshops are unfortunately alarmingly normal. This has allowed the garment industry to become one where poverty wages, unsafe and often abusive working conditions, exhausting hours and child labour are standard. However, as more and more light is shed on companies who use such tactics to produce their products, advancements of both human and labour rights are occurring. Speaking as a shop-o-holic, buying anything to everything, this was the industry which gave me the most trouble. After learning about the frightening realities of global sweatshops I took a pledge to only purchase clothing which was made by an individual working in safe and comfortable conditions while receiving a fair wage. This I admit was quite difficult, after looking in my closet to find that almost all of my clothes were made by a company who produce their clothes in sweatshops I had to do some serious research. Luckily I found a few larger companies who fell under my criteria. This allowed me to continue my shopping addiction while supporting companies who produce their clothing responsibly. If you’re unsure of how your favourite brand of clothing produces their clothes, do some research or send an email to settle your suspicions. Many other products such as dishes, toys, shoes and area mats, to name a few can be made irresponsibly. Do some digging on a company’s website to determine how their products are produced, I find it rather suspicious when they provide little or no information whatsoever regarding production. Send an email or search the companies name on the International Labour Organization’s website to see what’s actually going on. It’s slightly overwhelming, but what’s not? It’s unrealistic to purchase absolutely everything fairly traded, but changing a few things that you buy is most definitely doable! Switch out your regular morning cup of coffee or tea with a fairly traded one! I find that these are the easiest of products to find fair trade. Use direct trade cane sugar or fair trade cinnamon to make your cup a little more exciting. Trust me; it’ll make your day a whole lot better knowing that your entire cup of coffee is a fair one! Global Connections (at the forks) and Ten Thousand Villages are just some of the places in Winnipeg which offer an awesome selection of fairly traded items, including delicious coffees and teas! Not feeling the whole make your own cup of coffeetea, not to worry, try the Italian roast at Starbucks (certified fair trade by Fairtrade Canada) instead of your regular roast to ensure that your cup of goodness does well for all. Think local! Many local coffee shops and restaurants throughout Winnipeg offer at least one roast of fair trade coffee, if not tea as well. Check out Boon Burger Cafe and Black Pearl for some awesome Fairtrade certified coffees and teas. Chocolate, another little something easy to find fair trade, you can now indulge into your weakness without feeling too bad about it. Taza and Camino have some seriously delicious fairly traded chocolate. Clothing, somewhat tricky, but also very doable. American Apparel is probably one of the most well known “sweatshop free” clothing companies out there, look there for basics and vintage inspired clothing. Up cycle! Thrift, make new shirts from old ones, cut pants into shorts or simply look in the back of your parents’ closet. This is a way to not only reduce our consumption but a way to wear original clothes without directly supporting companies who exploit manufactures who produce clothes irresponsibly. 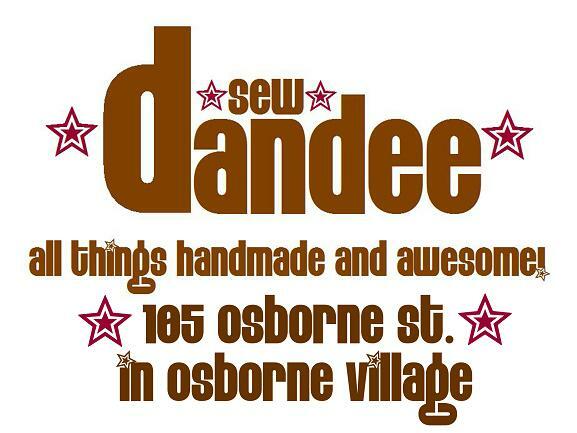 Look for local designers like Jill Zurzolo for Sew Dandee who design and produce their own clothes right here in Manitoba. Like I said, it may be difficult, but by supporting some of Manitoba’s very own designers, making a monthly trip to the thrift store, and up cycling those ratty old jeans into some sweet shorts it’s quite possible to make your wardrobe a fair one. Part of why I love my job here at Generation Green is because of all the awesome local and fairly traded products that we carry! From direct trade cane sugar, vanilla beans, mouth-watering chocolate, dried fruit, spices, aprons and so much more, Generation Green has certainly become my happy place! As consumers, we can create positive changes throughout the world just by altering 3 or 4 items on our grocery lists, they may be small changes, but it’s something. So start small, try a fair trade coffee and tea and see where that takes you. Even if it’s only one thing you buy, I know from experience that that item can truly get you thinking about what you consume.